There are many different types of tools that can be used to cut tile. Many installers will use a tile wet saw for most jobs, leading some people to believe this is the only way to cut tile. While a wet saw does have many advantages, depending on the type of tile and the size of the job, you may choose to use a dry tool instead. Wet saws are used to cut large amounts of tile. 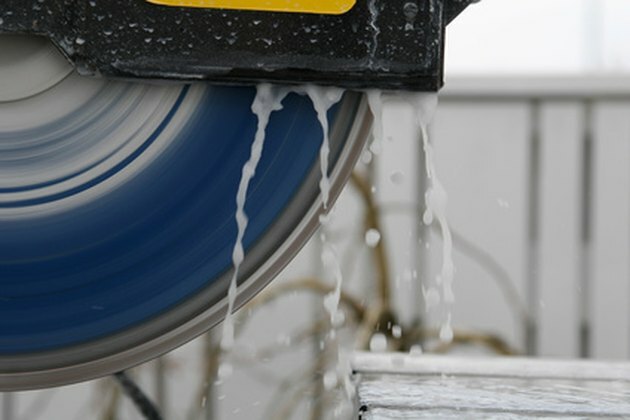 A tile wet saw consists of a blade covered in tiny diamonds, which spins fast enough to cut through tile. A basin of water below the blade keeps the tile and blade cool while the cutting takes place. For extremely hard or dense tiles, a tile wet saw can speed up the cutting process. For large jobs, where many tile cuts are taking place, a tile wet saw can also be beneficial. The water in the wet saw is crucial when cutting through hard or dense tile, such as porcelain, since it keeps the blade from heating up and beginning to smoke, creating too much friction to do its job properly. While tile wet saws are beneficial for large jobs, tile nippers can be used as dry tile cutters on any material. Tile nippers consist of two blades that are squeezed together with handles. Nippers are used to take "bites" out of the tile and are perfect for small jobs and mosaic tiles. Thin tiles and most ceramic tiles can be cut with a carbide tipped pencil in a dry application. The tip of the pencil is used to score the tiles, creating a breaking point where the tile can be snapped in two. This method is not effective for hard, thick or dense tiles where a wet saw is needed to cut through the tile. If multiple thin, ceramic tiles are being cut a score and snap tool can make the job much faster, without the use of water or a wet saw. In two steps, the tile is scored and, with pressure, snapped so that large amounts of tile can be cut quickly. Since no friction is produced, no water is required to keep the blade cool. Certain materials benefit more from the use of a wet saw than others. 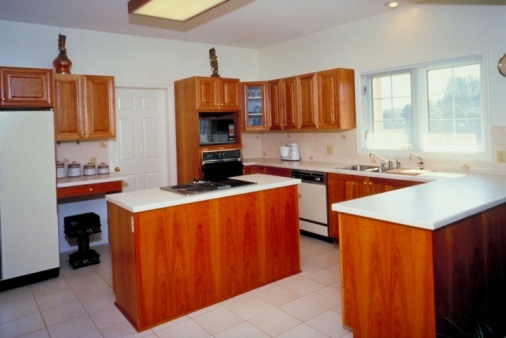 While all tiles can be cut on a wet saw, you'll get the best results from using a wet saw on the following materials: stone tiles, such as marble or granite; porcelain tiles; glass tiles, when the wet saw has been outfitted with a glass cutting blade; and commercial grade ceramic floor tiles.